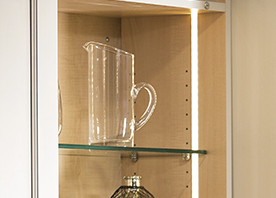 Lighting in the interior of a cabinet can add value to the kitchen. What used to be a dark area can now have efficient lighted space. 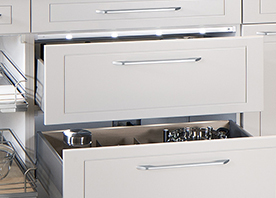 We offer a full line of LED lighting solutions that will luminate cabinets, pantries, and even drawers. Available with battery options, automatic turn-on, and dimmer switches. 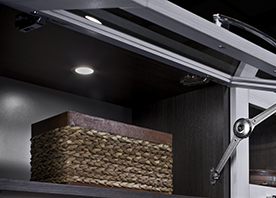 Shop our full line of Functional Lighting products.